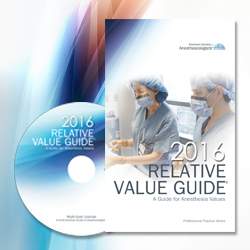 The Relative Value Guide® (RVG™) is an essential tool for all anesthesia practices and contains the most up-to-date CPT® codes and full descriptors for anesthesia services, including the ASA’s anesthesia base unit values and more. PLEASE NOTE: Your discount will be applied automatically at the time of checkout. 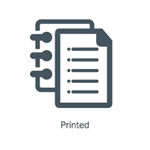 For quantities over 100, please call Member Services at 847-268-9133.